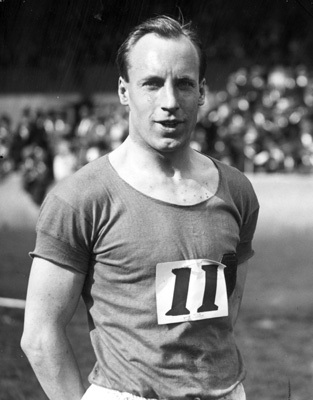 The Olympic gold medal-winning sprinter Eric Liddell is a rare example of a consummate sportsperson who transcended sport. Duncan Hamilton’s portrait of one of Britain’s greatest track athletes serves as an important reminder of sport’s true value at a time when athletics is marred by scandal, big money and loss of perspective. Liddell will be familiar to many through the film Chariots of Fire (1981). He is perhaps better known for the race he refused to run – the 100 metre Olympic heat in Paris, 1924, on the principled grounds that his Christian faith forbade him to compete on the Sabbath – than for the 400 metre final of those same Games, in which he defied the doubters to earn a spectacular win. Born to Scottish missionary parents in China, Liddell had no sporting pedigree. He did, however, study at an English boarding school that forged an indomitable character, before returning to Scotland, where the coach Tom McKerchar nurtured his sprinting talents at the University of Edinburgh. His running style, as Hamilton describes it, was one of “ungainly frenzy . . . rocking like an overloaded express train”. It didn’t take long for Liddell to start winning major races. At one meeting, he was clipped by a fellow athlete and fell in the early moments, only to stage a seemingly impossible comeback to breast the tape. Liddell had immense natural ability, but he also demonstrated the desire to push himself harder than any of his rivals, as though “sheer will was supplanting strength”. Olympic selection and glory awaited. But so, too, did Liddell’s entry into the world of preaching and mentoring as a Christian pastor. As Hamilton makes clear, anyone who met Liddell couldn’t fail to be struck by his quietly scrupulous and earnest character. McKerchar knew from an early stage that his pupil’s commitment to athletics was secondary to his commitment to the Church. After his Olympic win and university graduation, Liddell turned his back on competitive athletics in Europe, and, instead, took a modest teaching post in Tientsin, stating simply that “I believe God made me for China”. What Hamilton succeeds in illustrating in For the Glory is the enriching relationship between sport and faith in Liddell’s life. He may have been forced to choose between the two in Paris, but throughout much of Liddell’s time, his running and his religious devotion went hand in hand. 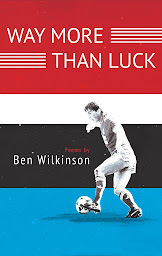 One of his favourite quotations came from training at Penn State University: “In the dust of defeat as well as in the laurels of victory there is a glory to be found if one has done his best”. 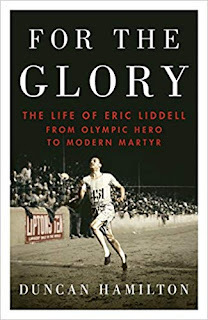 For Liddell, as for most amateurs, sport was most of all about sportsmanship – fair play, honest hard work, a level playing field and a generosity of spirit. Liddell’s own sporting heroes were not the most decorated, but those who had demonstrated exceptional resilience in the face of the odds. Much of For the Glory goes on to vividly document how the “Flying Parson” himself achieved this off the track in later life. Chariots of Fire captured the inherent decency of Liddell; Hamilton acknowledges the film’s necessary inaccuracies, part of its emotive portrayal of “the human condition in pursuit of its glories”. But the film’s action concludes before the unspeakable hardships that Liddell experienced while interned in a POW camp during the Japanese occupation. Through meticulous research and interviews with Liddell’s surviving fellow internees and family, Hamilton is able to show how Liddell saw his time in Weihsien camp, “a kind of cramped and squalid hell on earth”, as an extension of his original mission. Always willing to help others in whatever way he could, he became the camp’s moral compass and source of indefatigable hope, before his premature death caused by an undiagnosed brain tumour tragically denied him liberation and reunion with his wife and daughters. While its descriptions of sporting greatness are worth savouring, For the Glory is most of all an inspiring portrait of a good man. Duncan Hamilton’s achievement is to disarm cynics in his measured and memorable account. He brings to life an unparalleled athlete, but more importantly, an inspirational man.